A niche player in the IT industry, Belladonna Technologies was about to launch its latest product offering – AASMAN, an asset management solution for enterprises. However, before they could go full steam ahead, AASMAN needed a complete go-to-market (GTM) identity, starting right from logo design. 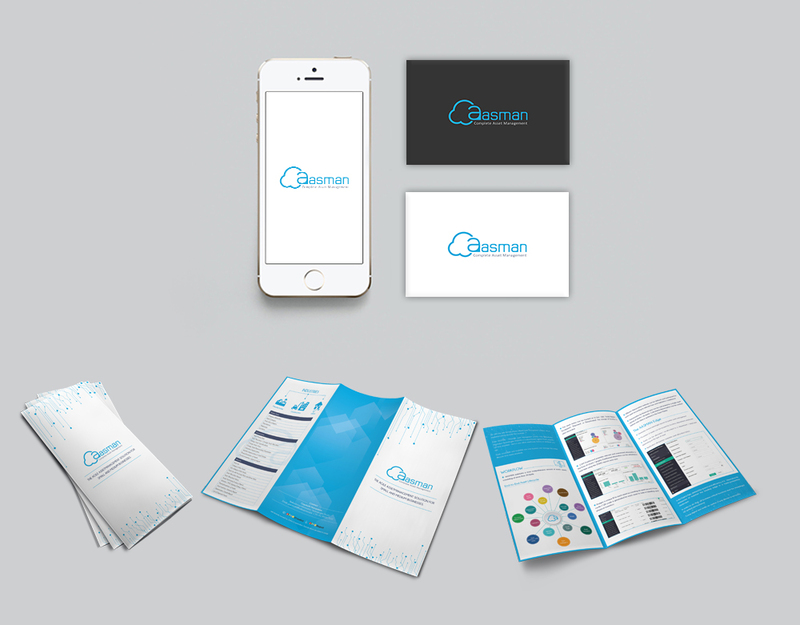 After intensive research into this industry vertical, our design team crafted a bold blue logo for AASMAN. We also took care of the entire end-to-end corporate identity, designing a business-critical brochure that would act as a primary customer touchpoint and vital source of knowledge for prospects and leads. The client was extremely satisfied with the look-and-feel of the new logo, as well as all the great work done on the brochure and other communication collaterals. AASMAN was launched and well-received by not only existing clients but new ones as well – the inquiries kept rolling in.